This Modern Clear Plastic Money Protector will keep your bills safe. Protects your money so you can frame them or keep them for years to come and they won't get dirty or wet. 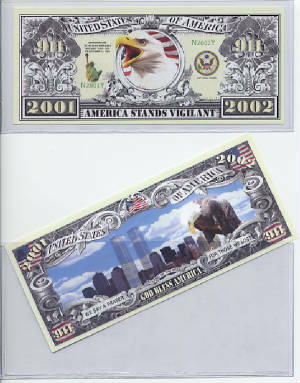 Each modern clear protector is the same size and shape as real money, approximately 3 1/4" x 6 1/2" in size. Buy them now to protect your money. Buy in Bulk; Save Money! !